Discover out-of-the-way places like Dolphin Quay and St. Mary's Cathedral. Dedicate the 23rd (Thu) to wine at some of the top wineries in the area. There's lots more to do: admire the natural beauty at Kings Park & Botanic Garden, contemplate the long history of The Perth Mint, appreciate the history behind Kings Park War Memorial, and explore the activities along Swan River. To plan Perth vacation without wasting time, ask Inspirock to design an itinerary. Singapore, Singapore to Perth is an approximately 9-hour flight. You can also do a combination of bus and flight. Plan for cooler temperatures traveling from Singapore in May, with highs in Perth at 25°C and lows at 11°C. Finish your sightseeing early on the 24th (Fri) so you can travel to Albany. 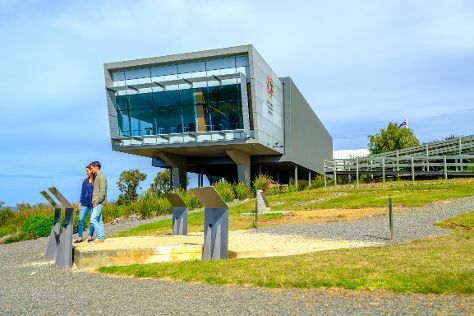 Start off your visit on the 25th (Sat): examine the collection at National Anzac Centre, then steep yourself in history at Princess Royal Fortress, then make a trip to Mt Melville Lookout, and finally examine the collection at Western Australian Museum - Albany. 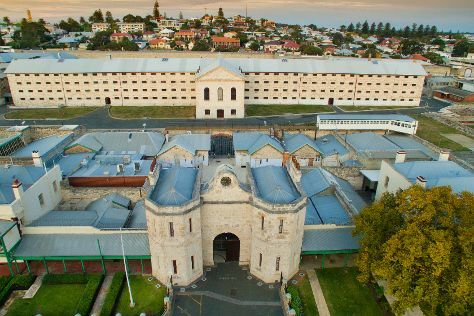 Get ready for a full day of sightseeing on the next day: contemplate the long history of The Albany Convict Gaol & Museum, take in the dramatic natural features at The Gap and Natural Bridge, then examine the collection at Albany's Historic Whaling Station, and finally get great views at Rotary Lookout Albany. To see where to stay, other places to visit, more things to do, and tourist information, refer to the Albany trip planner . You can fly from Perth to Albany in 3.5 hours. Alternatively, you can drive; or take a bus. Traveling from Perth in May, expect nights in Albany to be about the same, around 10°C, while days are a bit cooler, around 22°C. Wrap up your sightseeing by early afternoon on the 27th (Mon) to allow enough time to drive to Denmark. Denmark's population of over 2,700 people grows to several times that number during tourist season because of its natural wonders. On the 27th (Mon), do a tasting at Rising Star Winery and then take in the dramatic natural features at Elephant Rocks. To find traveler tips, more things to do, other places to visit, and other tourist information, go to the Denmark trip planner. Traveling by car from Albany to Denmark takes an hour. Alternatively, you can take a bus. In May in Denmark, expect temperatures between 22°C during the day and 10°C at night. Wrap up your sightseeing on the 28th (Tue) to allow time to drive to Pemberton. Go to Pemberton to enjoy beautiful natural surroundings, nearby national parks, and local wines. Eschew the tourist crowds and head to Hamelin Bay and The Pemberton Visitor Centre & Museum. Spend the 29th (Wed) exploring nature at Gloucester National Park. The adventure continues: don't miss a visit to Dave Evans Bicentennial Tree, explore the wealth of natural beauty at Warren National Park, enjoy breathtaking views from Gloucester Tree, and admire the engineering at Big Brook Dam. For where to stay, more things to do, traveler tips, and other tourist information, read Pemberton trip planner . Traveling by car from Denmark to Pemberton takes 2.5 hours. Alternatively, you can take a bus. Cap off your sightseeing on the 31st (Fri) early enough to travel back home. Start off your visit on the 1st (Sat): meet the residents at Perth Zoo, contemplate the long history of Fremantle Prison, and then make a trip to Monument Hill War Memorial. On the 2nd (Sun), you'll have a packed day of sightseeing: add some adventure to your tour with a kayaking and canoeing tour. To see ratings, maps, other places to visit, and tourist information, refer to the Perth trip planning app . Traveling by car from Pemberton to Perth takes 4 hours. Alternatively, you can take a bus; or do a combination of bus and train. Wrap up your sightseeing by early afternoon on the 3rd (Mon) to allow time for travel back home.